Today, I want to bust some of the most common fermentation myths. I have been teaching fermentation courses for the last few years, and have found that there is so much misinformation out there in blogs, recipes, and even books about fermentation! Unfortunately, this misinformation is what caused me to make mistakes when I first began fermenting. Worse still, this misinformation is what causes many people to become disheartened and unsure when it comes to fermentation. People start off their fermentation journey by following bad advice, end up with mouldy or otherwise dodgy ferments, and quickly lose confidence in their own abilities to ferment food. Lucky for you, I’ve learnt from all my mistakes so I can pass my knowledge on to you! I’m here to clear up some of the most common fermentation myths – a little fermentation myth busting, if you will! Because, armed with correct basic fermentation knowledge, ANYONE can ferment with ease – even on the first try! All of the information below is taken from Module 5 of my online fermentation course, Fermentation Fundamentals. This course is jam-packed with loads of useful fermentation info, including more essential basic knowledge and plenty of recipes for foolproof fermentation on the first go. The course contains hours of educational video modules, PDF recipe downloads, and even a forum for ongoing support! 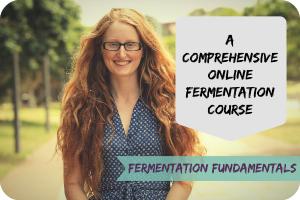 Click here to view Module 5 on the Fermentation Fundamentals page, for FREE. Click here to read more about the course and sign up. …Except, it’s probably the most important thing in successful, healthful fermentation. Many of the mistakes made by novice fermenters come down to this one factor – the presence of oxygen in the ferment. All of the myths below are related to this pesky little molecule. And that is because the vast majority of ferments are anaerobic ferments – they work best in oxygen-free environments. Now, that’s not to say that fermentation won’t happen with oxygen present. Instead, what it means is that your ferments will be at their healthiest and tastiest when you minimise the oxygen in the fermentation environment. This is Fermentation 101, people. And the number of blogs/recipes/books on fermentation that skip over this crucial topic just continues to astound me. If you do nothing else that I suggest, pleeeeease at least take care with the oxygen levels in your ferment environment. In short, aerobic (in the presence of oxygen) ferments are prone to moulds, yeasts, and other not-so-wonderful microbes. You simply won’t have as many of the good bacteria (which flourish best in an oxygen-free environment), and you’ll have contamination from less desirable microbes. Most people are eating ferments for the probiotics and resulting positive health effects – so why eat something that isn’t as healthy as it could be and is possibly detrimental to your health? And besides – ferments carried out in oxygen-rich envrionments just don’t taste as good, likely due to the contamination from other microbes. They tend to be soggier and less vibrant in taste. Who wants that? Uhhh, NOPE! Ancient wisdom and traditional crafts are amazing things, but sometimes they can be helped along by modern tools. In the past, a lot of ferments were created in clay fermentation crocks, which provided an airtight barrier thanks to a layer of water around the rim of the crock. They’re pretty cool in how they work, but they are pricey and not completely foolproof. Fermentation crocks can be quite prone to mould, especially if the water around the rim of the lid happens to evaporate. Luckily, there is a modern glass jar which is both cheaper AND anaerobic, perfect for the modern home fermenter. There are two brands which I know to be absolutely fantastic in keeping your fermentation environment oxygen-free – Fido and Le Parfait. Fido is my personal favourite, purely because they tend to be cheaper than Le Parfait! Both are equally wonderful – very strong glass, meaning they are less prone to shattering under pressure, and the right kind of lid for creating the perfect anaerobic environment. The lids on these jars are also designed to allow the carbon dioxide created by the microbes in your ferment to escape the jar. DON’T be tempted to buy cheaper knock-offs of these jars, though; they are rarely good enough at creating an anaerobic environment due to small gaps in the seal on the jars. So you need to spent a little on the right type of jar, but nowhere near the amounts being forked out on crocks or specialised ‘fermentation kits’. An extra word on fermentation kits and these specialised jars, because I hate to see people unknowingly forking out hundreds of dollars on just one or two jars… they are completely unnecessary. A marketing gimmick. A ploy to scare new fermenters into thinking fermentation is hard to get right, so they hand over their cash for jars they don’t really need. Harsh words, maybe. But I just hate to see people spending more money than is necessary, especially due to fear and dodgy marketing. Many of these ‘specialised’ jars simply mimic what the Fido & Le Parfait brand jars already do at a much cheaper price tag. Some of them are Fido jars, with an airlock added (but the airlock does what the lid of the Fido already does anyway!). And some of them are even screw top jars with an airlock added, which is not an anaerobic environment – see myth #3 for more on screw top jars. Again, it’s all about that oxygen. Screw top jars (i.e. mason jars and the likes) DO NOT create an oxygen-free environment. Without a vacuum seal (which can only be achieved by high temperature canning, not by fermentation), these jars will allow oxygen in through gaps in the banding around the edge of the jar. This problem is made worse when even the slightest bit of pressure from carbon dioxide created in the ferment bend the lid and widen the gaps around the edge. Even with an airlock added, there is still the problem of these lids allowing air in. When people come to me with mould problems in their ferments, the NUMBER ONE CAUSE is using a screw top jar. It’s really not much more of an investment to buy a couple of better jars, and will save you a lot of money in wasted batches of mouldy ferments. In addition to the right jars to use, Module 5 in my Fermentation Fundamentals course also deals with the best water filters for your brine water and the importance of having sharp knives when you’re doing plenty of chopping. 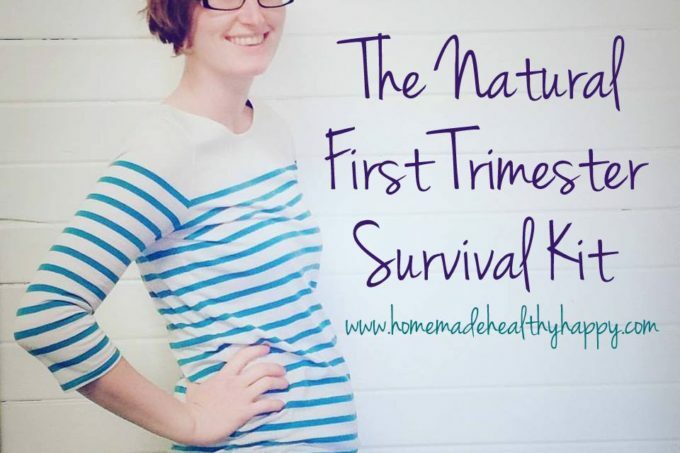 Fun fact: A blunt knife can be more of a hazard than a sharp one! To learn more about the right tools to have for fermentation, click here for access to this FREE module. And if you want to know everything you need to know to ferment perfectly on the first try, sign up for the full Fermentation Fundamentals ecourse and let me be your guide! What do you want to know about fermentation? What other common fermentation myths would you like BUSTED?